In the existing business scenario, a majority of the globally-settled firms are dealing with a bulk of work and a large volume of data on a daily basis. This has affected the legal industry and the law firms too. Generally, the complexed legal instances consume a large sum of data stored in paper formats and electronic forms. The trend of digitization has peeped into the legal system, wherein, the data stored in the traditional format seek immediate conversion into electronic format. Now, here’s the major needs to outsource the legal data entry services. 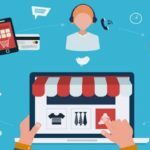 The in-house execution of the legal data entry service or legal claim processing services is a challenging activity as it can cost a huge amount as well as consumption of valuable and expensive resources. Hence, outsourcing the legal data entry services to a well-recognized legal data entry company in India can offer you with affordable solutions with a quality driven performance. The pricing rate is structured by looking after the work volume, complexity of project, and many such factors. To accomplish the result within the exact time is the aim of every law-based firm, while undertaking the decision of outsourcing the legal data entry services. We believe that time is a crucial factor and hence, offering a comprehensive range of accurate and flawless data entry service within a shorter turnaround time is the need of the hour put forward by all the service providers. Today, due to the various sudden internal and external threats possessed by an organization, the outsourcing service providers instill the best data security measures. In case of legal documents and records, they require some extra data confidentiality techniques, to preserve the data stored in the input documents. The renowned service providers have the advanced technologies to ensure a complete project security. When you perform the legal data entry service in-house, it can lead to a few manual errors due to the lack of efficient people. And to avoid such complications, outsourcing the legal data entry service to a service provider can help you to achieve 99.99% accurate and error-free results. The service providers employ a team of professional and experienced data entry operators who possess a good amount of knowledge about the law industry. With the help of outsourcing the legal data entry service, your firm can enjoy an attractive discount, in case you have a bulk of legal data to be gathered and entered. The service providers ensure to offer the discounts on legal data entry service, without making any sort of compromise on the quality of output generated. 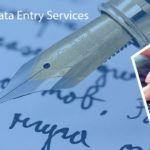 Data Entry Export, being the globally emerging first-class outsourcing service provider of legal data entry services, it is the most recommendable place to meet your demands. 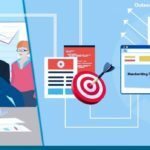 Our team possess the best experience in digitizing the uncategorized legal data through the manual or automatic techniques. Our convenient pricing options and the security of confidential data will facilitate your process of decision-making and effective functioning of your law firm.